It appears that Apple has sold out of its initial allotment of iPhone 4S units, with shipments of the phone ordered now expected to come in one to two weeks rather than on October 14. AT&T did particularly well with iPhone 4S sales, receiving more than 200k pre-orders for the handset on Friday within the phone's first 12 hours on the market. In a statement AT&T said "It's obvious customers like AT&T's 4G network, which is the only one that lets their iPhone download twice as fast and talk and surf simultaneously." The iPhone is not a 4G LTE-capable device; however, it is capable of HSPA+ a faster version of 3G data technology that many refer to as "4G." According to TiPB's Rene Ritchie "devices must simply support "any 3GPP release 7 feature" to be classified as HSPA+. Since the Qualcomm chipset found in the iPhone 4S uses 3GPP features, it technically counts as an HSPA+ radio, despite the fact that the handset can't reach the 21Mbps HSPA+ speeds that had been rumored to arrive on the device." 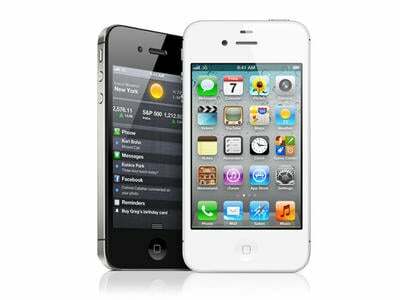 The iPhone 4S was also available on Verizon and Sprint. We have yet to hear first-day sales numbers from either of those carriers. Did any of you pre-order an iPhone 4S yesterday? What carrier did you select?